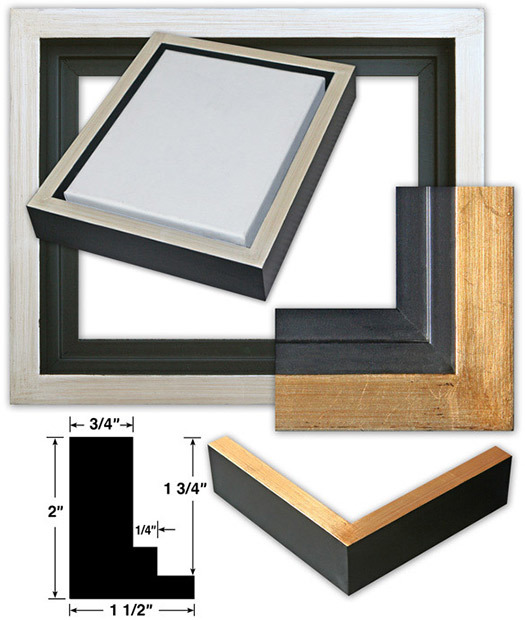 Sturdy, solid wood construction in hand finished gold or silver with a satin black outer edge. between the inner edge of the frame and the canvas. 2" high and will accommodate a canvas/stretcher bar depth of up to 1 3/4". Canvas not included.